Home prices rose in most of Greater Boston. How did your area fare? 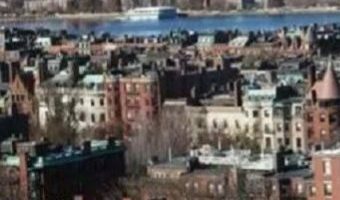 In April, more homes sold in Greater Boston than in the same month the year before, according to data the Greater Boston Association of Realtors released this week. But the higher number of sales, however, did not necessarily translate into lower home prices. “The reality is buyer demand continues to far exceed housing supply, and that’s putting upward pressure on home prices,” Marie Presti, association president, said in a news release. “As a result, homes and condos are selling quickly, typically in a month to five weeks if priced right, and most are selling at or above asking price.” The median sales price of a single-family home in Greater Boston rose to a record high of $612,000 last month, a 3.7 percent increase from April 2017. Condo prices also hit a record high for the month, with a 14.2 percent jump taking the median price from $520,000 to $593,629. How did your community fare? Central MiddlesexActon, Bedford, Boxborough, Concord, … [Read more...] about Home prices rose in most of Greater Boston. How did your area fare?